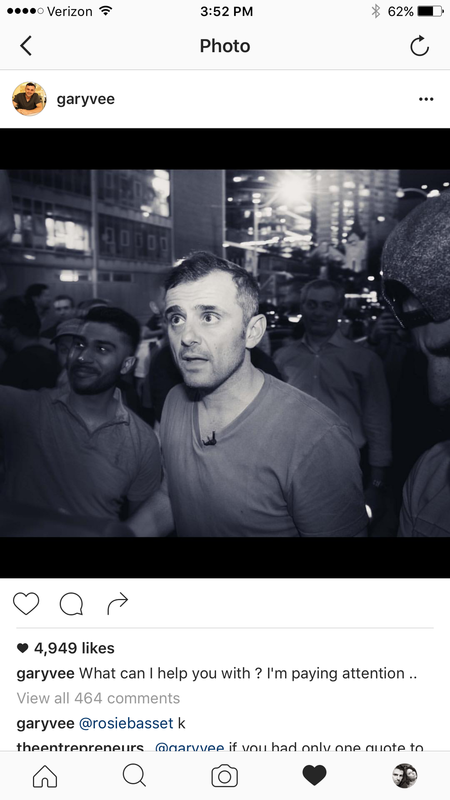 So the other day, @GaryVee did something amazing. That’s really nothing new though. After all, he’s built his very successful business on leverage — Always trying to give just a little bit more than he receives. A couple of weeks ago, he sent out an Instagram post asking his followers if there was anything he could do for them. I was already about 5 beers into the evening so I was feeling brave. 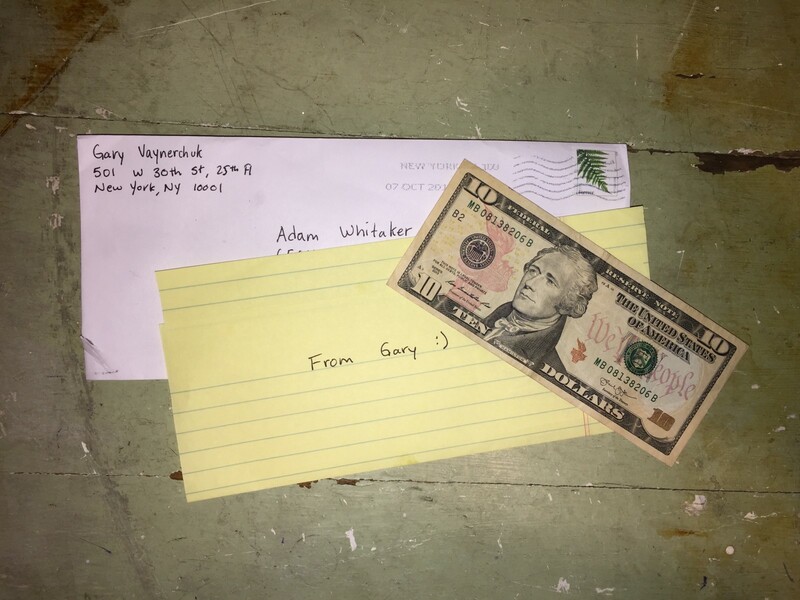 I tweeted him back and asked if I could borrow $10 and he said yes! So I sent him an email with my address and he promptly responded by CC’ing his assistant to send it. This wasn’t the first time he has ever asked his fans/followers this question but it was definitely the first time I took him up on it. Obviously, I don’t actually need the $10, but I just had to see if he would actually do it — but to be completely honest, I expected him to 100% from the very beginning because this is the kind of thing he does all of the time, and a big reason why myself and so many other people are such big fans of his. Anyway, the money showed up just a few days later. But now that I think about it, this makes us even. You see, in Episode 71 of the #AskGaryVee show, you made a joke saying, “It’s the Ask Gary Vee Show, not the I’m Giving You a Statement Gary show” to one of your employees who told you they had a question, but it turned out it wasn’t much of a question. Well…not to be that guy, but they didn’t do it. So, I went ahead and grabbed it for you back in February 2015 and then redirected it to your Twitter profile. So…I had your back. You had mine. Let’s be friends, k?